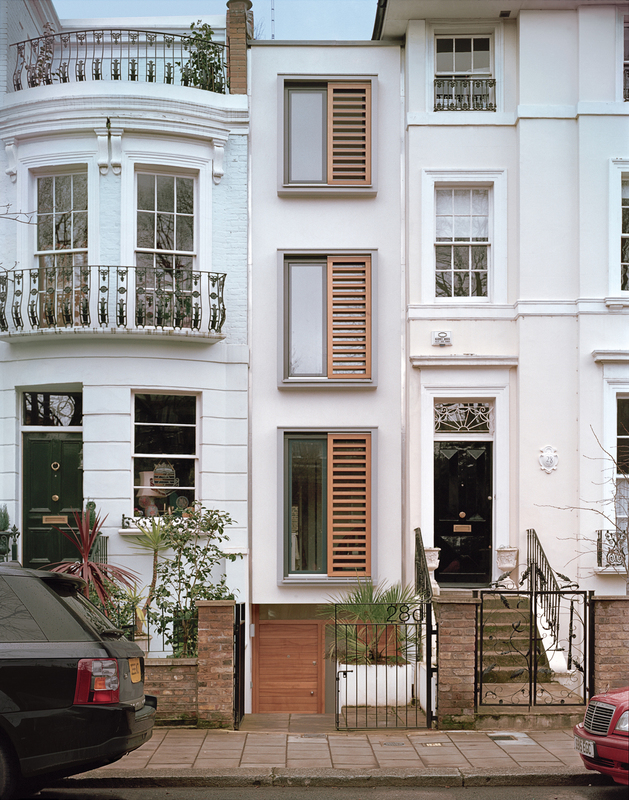 On an eight-foot-wide lot in London, architect Luke Tozer cleverly squeezed in a four-story home equipped with rain-water-harvesting and geothermal systems. Though the cottage looks cramped from the street, in back, it blooms dramatically into a semi-open plan kitchen, living, and dining area for a growing family. To fit a steeply sloping site in North Carolina, architects Elihu Siegman and Michael Silverman dreamt up an adaptive structure based on the Hebrew letter aleph, a strong diagonal central line flanked by two smaller accent strokes. The result of Siegman and Silverman's work is a dramatically cantilevered residence that juts out over the ridge. Architect Charlie Lazor, creator of the panelized FlatPak house, developed a new modular 1,600-square-foot open-plan Week’nder for the remote site on Lake Superior’s historic Madeline Island.